In today's IT environment websites are most powerful & swiftest medium of communication. So frequently updated websites is believed to be credible. 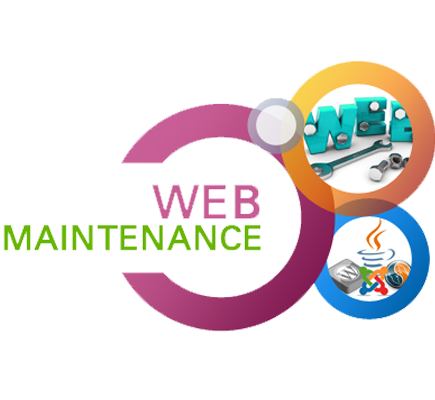 Website maintainence maintains the websites quality & keep it free from errors. Quara Infotech Services offers affordable website maintainence services handled by a certified & well experianced team. We change your website as an when required whether daily, whether weekly, whether monthly, whether yearly we are always there with a dedicated team & support service. A team with vast experience of 2+ years & knowledge. A team with successful managing 150+ customers. A company with promised turn around time. A team serving from individual to small, home-based business or a larger, corporate or government organisation. A team with dedicated customer support and maintainence. An affordable and customer centric company. Check up of browser compatibility. School, College, Institutes, Coaching's website maintainence. HTML, Wordpress, Joomla, Magento, Drupal website maintainence.